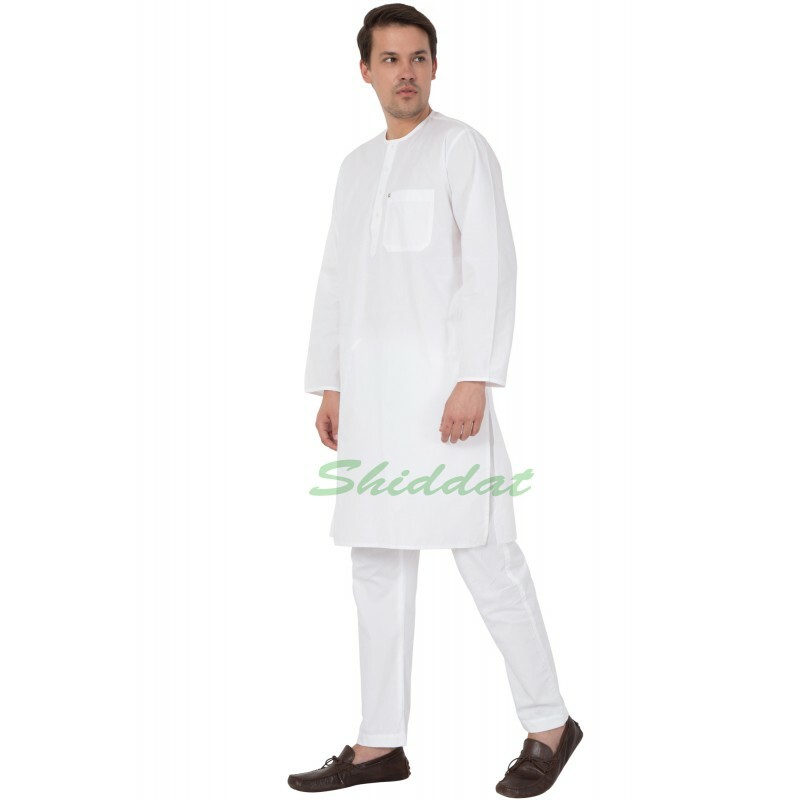 This sobre white woven self-striped kurta has a Round collar, a short button placket, long sleeves, a patch pocket and side slits. 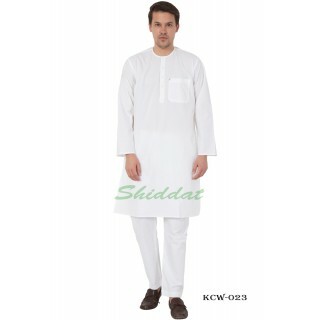 This simple yet trendy looking kurta comes with a solid white pyjama having a waistband with drawstring fastening. 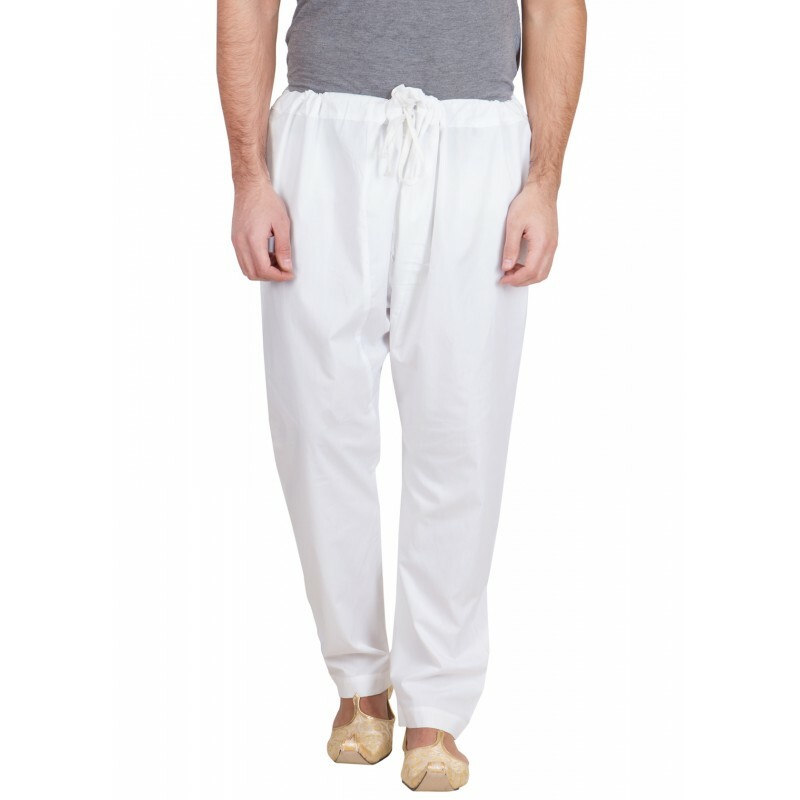 This kurta pyjama set is ideal to be worn in casual occasions and ceremonies and is much suited for summer season. 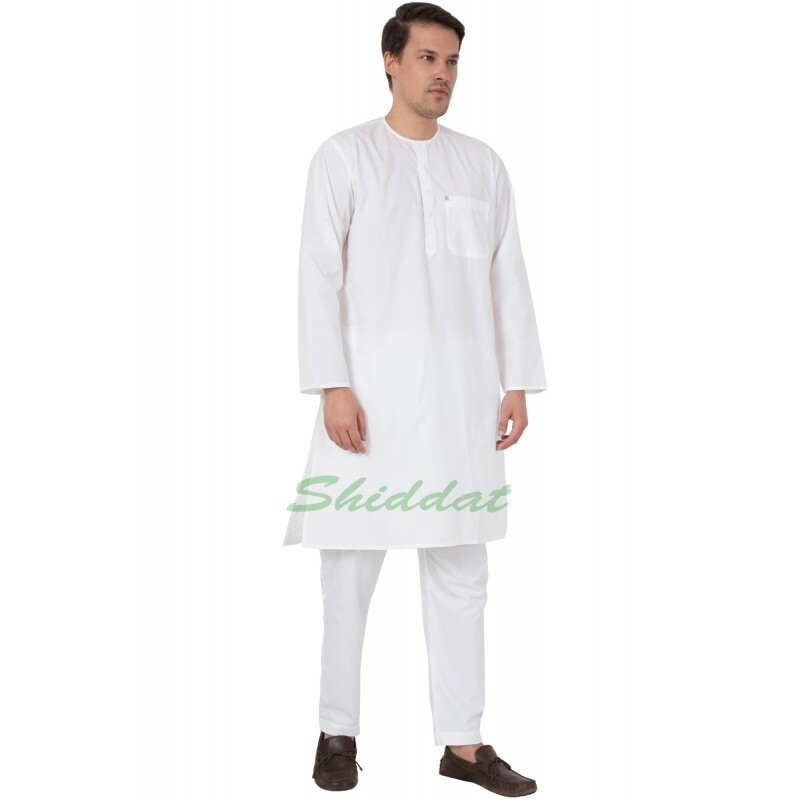 Cash on delivery as well as online payment for this cotton men's salwar kameez set is available. Also free shipping to any part of India.